A new year with a new blog post? It’s a new year everyone and I wish you all the best. This dish is influenced by my girlfriend (even though she doesn’t like seafood), it's her drink of choice that brought me to this dish; Tanqueray Rangpur. Tanqueray Rangpur is made with the Rangpur lime, which is a hybrid citrus (please see the link attached). After receiving it as a gift for Christmas, we had a glass of gin and tonic. It was incredible how citrus like it was without a lemon in it. It was also very aromatic and not as harsh as regular Tanqueray. My mind instantly started thinking about cooking with it. After looking around to see if anyone had done anything with it, I couldn’t find much. Besides a European chef making gin using lobster, which by the way is very interesting. With enough brainstorming, researching and thinking, I had it figured out. 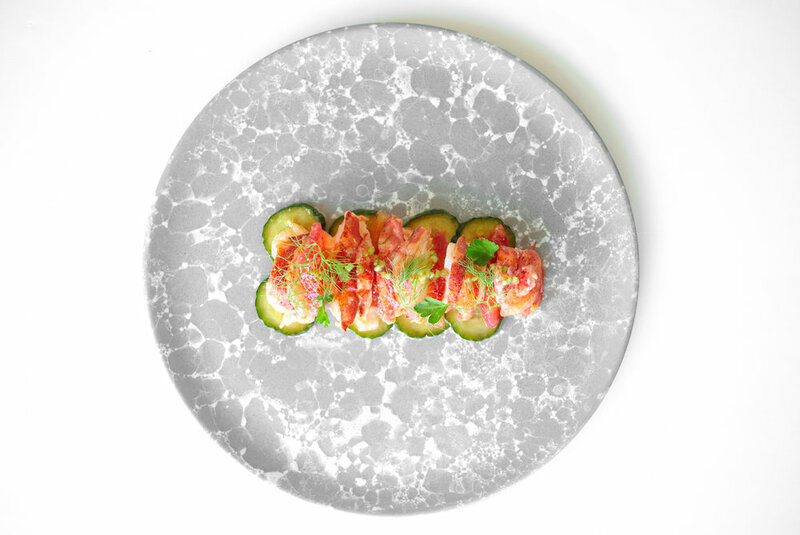 Lobster cooked in lemongrass butter finished with a gin vinaigrette, blood oranges, and pickled cucumbers. I instantly knew how to plate it. Take all the ingredients except for the cucumbers and bring to a boil then let simmer for 5-10 minutes. Once finished, start slicing cucumber thin but not too thin, you don’t want to lose that crunch. You need 6-8 per cucumbers per plate. Once the liquid has cooled, fill a Ziploc bag with enough liquid to cover the cucumbers, reserve. Make 24 hours ahead so cucumbers have time to absorb aromatics and flavour of pickle liquid. Do you remember my post Lobster 101? If not go have a check and read on how to clean and cook lobster. For this dish, be sure to have a stick go through the tail so it stays straight when you blanch in the court bouillon. For the vinaigrette combine all ingredients in a bowl, take parsley, finely slice them and add to mix. Taste and adjust salt levels. Reserve in a bowl. 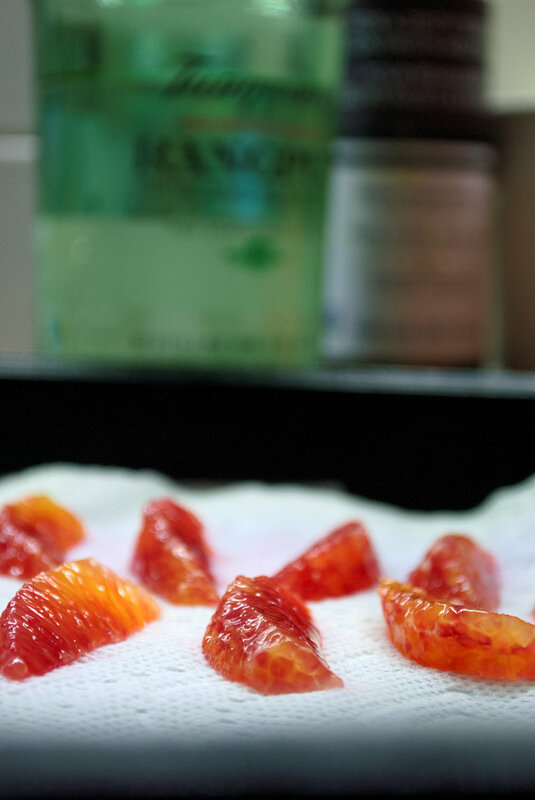 Peel blood orange with a knife by slicing the top and bottom off. Take your knife and run it along the side of the orange, removing the outer skin and inner white flesh. Once you do the first one, you can use that as a guide for continuing the others. Once peeled, segment and remove any seeds, reserve on a plate with paper to absorb any extra juice. Pick fennel and parsley, reserve. Take your lobsters (out of their shell), get your pan on low to medium with butter, thyme & 3 inches of the lemongrass stalk, crushed. Once butter is melted, season lobster and cook until ready. Take pickles out, blot dry and plate in the centre of the plate. 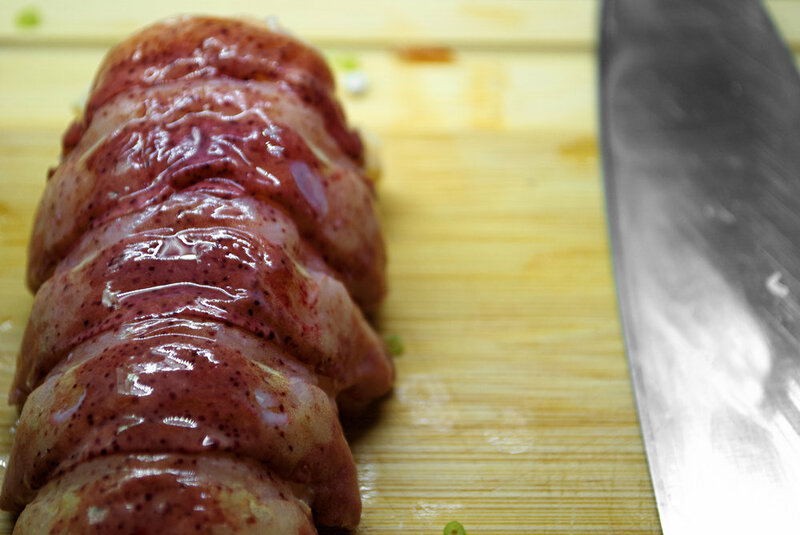 Once the lobster is cooked slice into 4/5 put in a bowl and add enough vinaigrette to coat lobster. 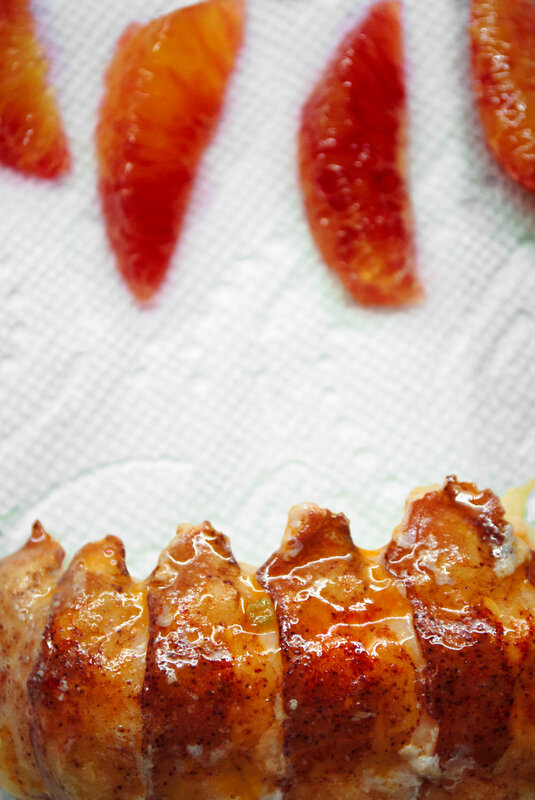 Mix, then plate, after each lobster, add a blood orange. Finish with a drizzle of the pickling liquid on top. Place herbs and leaves, there you have it. A great lobster dish, full of flavour and aromatics from the gin, the pickling liquid and some texture from the cucumbers.